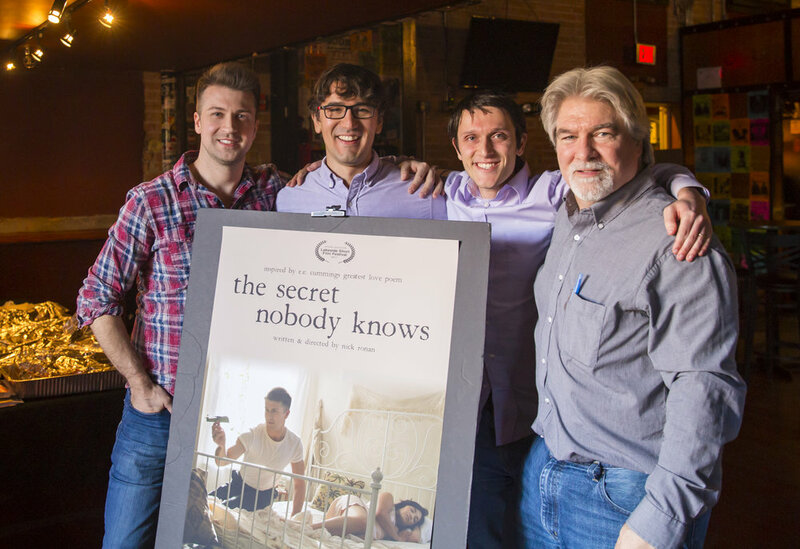 The Audience Favorite and $500 goes to: the secret nobody knows, Written and Directed by Nick Ronan. We hope that you consider us in future years and are aiming to make the event bigger every year. We had a great time and we'll be posting pictures soon on our website and Facebook. If you haven't liked us on Social Media Network, please feel free to and befriend the hosts: Alex Contreras, Bryan Royston, and Nathan Levy (if you haven't already). We'll be more than happy to keep you apprised of upcoming events and 2018 festival events too. From left to right: Nick Ronan (Writer and Director), Alex Contreras (Co-Owner of Living Storm Productions), Nathan Levy (Co-Owner at Living Storm Productions), and Jeff Blankenship (Director at Living Storm Productions). Photo by George Dallman.